Using Laxatives to Lose Weight: Easy Solution or Dangerous Practice? In the never-ending journey to find a quick, easy, and painless way of shedding pounds, many people have entertained the idea of using laxatives to lose weight. Laxatives, of course, are any food or drug ingested with the intention of promoting bowel movements. Most commonly used in patients suffering from constipation, laxatives appear in several different forms. It’s true that laxatives can induce some short-term weight loss, but are they truly effective as a weight loss tool? And is using laxatives for the purposes of weight loss a safe long-term solution to weight loss? Before we can answer these questions, it’s necessary to understand how laxatives work. The primary purpose of laxatives is to clean out the intestinal tract – more specifically, the large intestine, or colon. Laxatives actually do not affect the small intestine. This has important implications for weight loss because caloric absorption, or the absorption of the energy and nutrients from the food we eat, takes place in the small intestine. Since the absorption of excess energy is what causes us to gain weight, it’s apparent that using laxatives to lose weight is a totally inefficient strategy. However, it is true that laxatives often do promote short-term weight loss due to the dehydration of the body that occurs with frequent bowel movements, and the removal of built-up waste. Those taking laxatives might notice that they’ve dropped a few pounds after experiencing a day or two of frequent bowel movements; however, due to the fact that laxatives only affect food that has already been digested, the lost weight does not reflect fat that has been burned from the body, but rather is simply an indication of the loss of water weight and excess waste from the colon. As many dieters know, the loss of water weight is only temporary and that weight will quickly pile back on as the body retains water to rehydrate itself in the coming days. Unfortunately, this loss of a few pounds can easily be misinterpreted as a sign that using laxatives to lose weight is actually an effective solution. The user might then continue using laxatives since they (the laxatives) have already provided some weight loss. 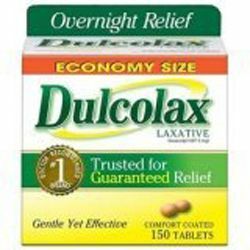 This could be a costly mistake, as frequent or long-term use of laxatives (laxative abuse) can cause significant side effects, including chronic constipation, chronic dehydration, severe abdominal pain, damage to the intestinal tract, and electrolyte imbalance, which can lead to heart problems. Laxatives are popular among those with eating disorders because they (the laxatives) provide the illusion that they contribute to weight loss in a way that doesn’t require dieting or exercise. Using laxatives to lose weight, however, is not sustainable as a weight loss plan and can lead to laxative abuse and addiction. Some weight loss plans advocate the use of laxatives, branding them as “cleansing” products; however, any such plan that relies on the use of laxatives or similar supplements should be regarded with extreme caution. Using laxatives to lose weight seems like it would be an easy and relatively painless solution to weight loss. However, laxatives only affect food material that has already been digested, meaning they have no effect on real weight loss and only provide temporary water weight loss. This makes them ultimately ineffective for use in shedding pounds, and they can even be dangerous if used too frequently or for long periods of time. Click here for more great weight loss information and instant access to the #1 weight loss plan on the Internet!